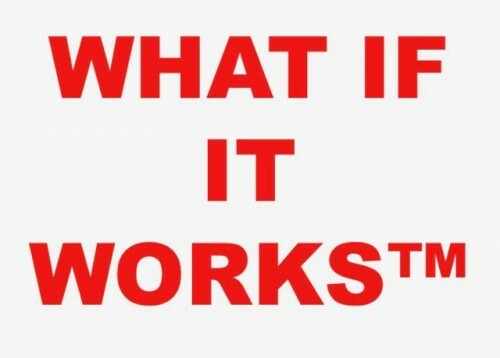 “What if it Works” changes the mindset from “What if it fails”, where the receiver opens up her/his mind to new ideas, methods and technologies. The expression can be used as is, or with a “?” or a “!” behind it, or both. We have used it extensively in the oil and gas technology industry, where it has inspired to think new and differently.